Kyle Grillot - kgrillot@shawmedia.com Volunteer Sarah Persico of Algonquin (right) wathces as Abigail Hori, 6, of Lake in the Hills plays with shaving cream during the Mustache Mania early literacy event at the Algonquin Public Library Friday, February 28, 2014. The event, for children ages 4-6, features story telling, various crafts, mustache glasses, and playing with shaving cream. 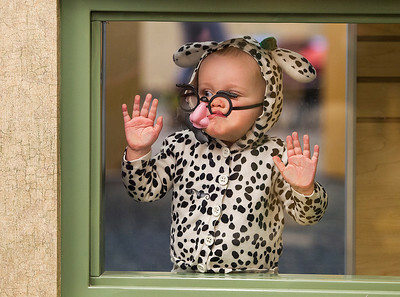 Kyle Grillot - kgrillot@shawmedia.com Charley Henning, 1, of Lake in the hills peers into a window at her sister Layla, 4, during the Mustache Mania early literacy event at the Algonquin Public Library Friday, February 28, 2014. 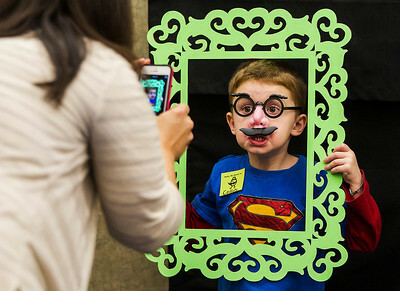 The event, for children ages 4-6, features story telling, various crafts, mustache glasses, and playing with shaving cream. Kyle Grillot - kgrillot@shawmedia.com Colin Boskey, 4, poses while early literacy coordinator Dana Iaccino takes his picture during the Mustache Mania early literacy event at the Algonquin Public Library Friday, February 28, 2014. 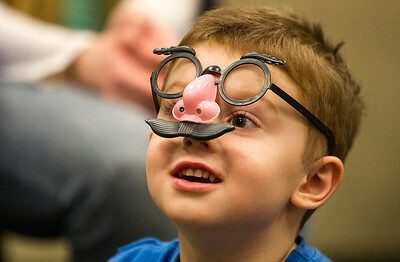 The event, for children ages 4-6, features story telling, various crafts, mustache glasses, and playing with shaving cream. 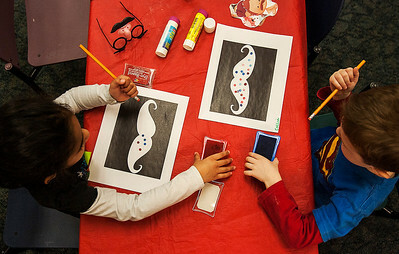 Kyle Grillot - kgrillot@shawmedia.com Sruthi Guda, 5, (left) and Colin Boskey, 4, decorate mustache drawings during the Mustache Mania early literacy event at the Algonquin Public Library Friday, February 28, 2014. 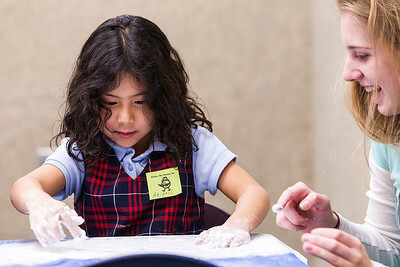 The event, for children ages 4-6, features story telling, various crafts, mustache glasses, and playing with shaving cream. Kyle Grillot - kgrillot@shawmedia.com Colin Boskey, 4, listens while early literacy coordinator Dana Iaccino tells a story during the Mustache Mania early literacy event at the Algonquin Public Library Friday, February 28, 2014. 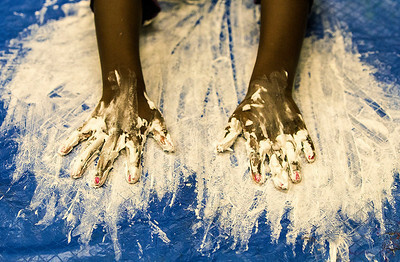 The event, for children ages 4-6, features story telling, various crafts, mustache glasses, and playing with shaving cream. Kyle Grillot - kgrillot@shawmedia.com Children listen while early literacy coordinator Dana Iaccino tells a story during the Mustache Mania early literacy event at the Algonquin Public Library Friday, February 28, 2014. The event, for children ages 4-6, features story telling, various crafts, mustache glasses, and playing with shaving cream. Kyle Grillot - kgrillot@shawmedia.com Chidera Nwokedi, 4, of Algonquin plays with shaving cream during the Mustache Mania early literacy event at the Algonquin Public Library Friday, February 28, 2014. The event, for children ages 4-6, features story telling, various crafts, mustache glasses, and playing with shaving cream. Kyle Grillot - kgrillot@shawmedia.com Abigail Hori, 6, of Lake in the Hills listens while early literacy coordinator Dana Iaccino tells a story during the Mustache Mania early literacy event at the Algonquin Public Library Friday, February 28, 2014. The event, for children ages 4-6, features story telling, various crafts, mustache glasses, and playing with shaving cream. Volunteer Sarah Persico of Algonquin (right) wathces as Abigail Hori, 6, of Lake in the Hills plays with shaving cream during the Mustache Mania early literacy event at the Algonquin Public Library Friday, February 28, 2014. 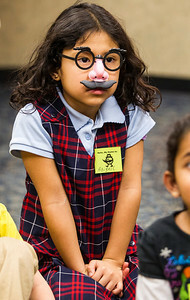 The event, for children ages 4-6, features story telling, various crafts, mustache glasses, and playing with shaving cream.